SO LONG as Belarus does not give diplomatic recognition to two Russian-backed puppet states in Georgia, its president, Alyaksandr Lukashenka (to give his name using the Belarusian transcription rules), can attend the European Union’s summit in Prague in May. That is the message coming from Brussels to the regime in Minsk. It is not wholly wrong, but it is not nearly enough. By April, the EU has to decide whether the partial political liberalisation in Belarus in recent months warrants a real change in the way the country is treated. The issue is divisive. A powerful argument is that Mr Lukashenka is trying to escape the Kremlin’s embrace. His son, Viktar, is said to be pushing him in this direction. Belarus under Mr Lukashenka is an odd mix of beastly and sometimes lethal repression (half a dozen people have disappeared and are believed murdered) coupled with a steady growth of national identity. It is not, however, the “red-white” identity of the beleaguered opposition. Named after the colours of the former Belarusian national flag, the opposition is strongly pro-Western, and traces the country’s historical roots back to the Grand Duchy of Lithuania (which had its capital in present-day Belarus, and an official language that is an ancestor of modern Belarusian). Mr Lukashenka has treated the “red-white” cause roughly, not only politically but also in his discouragement of Belarusian language and culture. Instead, he has promoted a “red-green” identity, named for the colours of the Soviet-era “Byelorussian” flag—briefly dropped in favour of the red-white version, and now restored. It stresses Soviet-era themes, such the role of Belarus in the second world war, and ideas such as Slavic brotherhood. In some ways, he has moved closer to Russia, pressing the “union state” (much discussed but never implemented) and closer military ties. Some think that history will judge him kindly for that. Perhaps in a future Belarus, his moustachioed visage will even be on the bank notes, as a father of the nation alongside such giants as Francisk Skaryna, the first person to translate the bible into Belarusian. But from another point of view, this is all an atrocious betrayal of European and Atlantic principles. Mr Lukashenka is just flirting with the West, in order to drive a harder bargain with Russia. He has done it before; now he is doing it again. Inviting Mr Lukashenka to rub shoulders with Europe’s leaders at the May summit would be a colossal mistake. It would demoralise the people in Belarus who believe in a European future. And it will show the Belarusian leadership that a few phoney gestures towards freedom are all that is needed to fool the West. It is certainly right to bring business, culture and other bits of public life in Belarus into close relations with the West. Training officials to deal with EU rules, and a more relaxed visa regime, will help dilute the paranoia and sense of isolation that the regime has stoked. It will be particularly effective at a time when the gloss is fading from Russia’s experiment with oil-fuelled superpowerdom. So the EU should certainly press ahead with the “Eastern Partnership”, conceived and promoted by the Czechs, Poles and Swedes as a way of extending Europe’s soft power to the eastern borderlands. It may be necessary to swallow hard and relax the travel ban on some senior people in the regime. It may even be necessary to meet at some point with Mr Lukashenka—preferably as part of a deal that sees him leaving power. But it is a step too far to treat him as if he had done everything already. WHY he did it is still unclear. But the “how” is leaking out. Hermann Simm, a former Estonian official who was one of Russia’s highest-placed spies in NATO, pleaded guilty to treason on Wednesday February 25th and was jailed for 12½ years. The Estonian authorities have released some details of a case that has had the spook world buzzing for the past year. Russia’s foreign-intelligence service, the SVR, recruited Mr Simm on his holiday in Tunisia in 1995. He was a prime catch. He had finished a stint as a top policeman, and was starting a new security job at the defence ministry. The approach was made by Valery Zentsov, once a KGB officer in Soviet-occupied Estonia. Mr Simm was neither blackmailed nor, at first, bribed; he just wanted his Soviet-era rank of colonel back. At a third meeting he was put on the payroll, receiving just over $100,000 in all. Mr Simm betrayed every secret that crossed his desk. There were plenty: as the man in charge of Estonia’s national security system, he organised the flow of all classified military documents in the country and abroad. Once Estonia joined NATO in 2004, he acted as the Kremlin’s eyes and ears on the alliance too (although his poor English, say some, may have limited his usefulness). He also tried but failed to get hold of secrets from Estonia’s security and intelligence services, which are separate from the defence ministry. In 2002, say Estonian officials, Mr Zentsov was replaced by another Russian handler. Sergei Yakovlev worked for the SVR’s elite S-directorate, which runs “illegals”: spies who acquire a genuine identity in a foreign country. Mr Yakovlev, a near-native speaker of Portuguese, appears to have acquired Portuguese citizenship illegally, gaining a passport in the name of Antonio de Jesus Amurett Graf. Travelling as a business consultant, he met Mr Simm every three months or so, in at least 15 countries in the EU and elsewhere. The plan came unstuck because of poor spycraft. According to spycatchers elsewhere, Mr “Graf” tried to recruit a senior official in another country, who reported the incident to his own counter-intelligence service. Under scrutiny, the Portuguese was seen meeting Mr Simm. That set alarm bells clanging across NATO. The difficulty was to observe Mr Simm closely enough to build a criminal case without sparking his suspicion. Estonia’s security service is getting many plaudits for this, which culminated in his arrest last September. In a separate prosecution, Mr Simm was ordered to pay 20m Estonian kroons ($1.7m) for the cost of new security systems. The SVR did not immediately reply to a request for comment. Mr Simm is not the only Russian spy at high level in NATO. Several other countries are apparently following up five leads arising out of Mr “Graf’s” activities. The results are unlikely to become public. The way in which Estonia put Mr Simm openly on trial is striking. In other countries, those caught spying for Russia tend to be eased out discreetly rather than being brought to justice in the painful light of day. FIRST the financial crisis, then the economic one, then—soon—a social one, and after that a political one. The world economic crisis is hitting the countries of eastern Europe particularly hard. Events such as devaluations, ratings downgrades and shocking economic statistics that would be front-page news in normal times barely make it into a preoccupied world media. It would be nice to say that the countries that followed the right (ie Western-mandated) policies in past years are surviving reasonably well, while naughty ones that failed to finish their homework are suffering. That’s true up to a point. Reckless policies (especially in the big ex-Soviet countries) are punished particularly hard. Prudent Estonia squirreled away a cushion of savings in good times that will make it a bit less vulnerable than its Baltic neighbours to the south. The much bigger lesson is that what once looked like the right thing now seems to have been either useless or outright dangerous. As Katinka Barysch, of the Centre for European Reform, a think-tank, points out in a new paper*, the ex-communist countries now in the European Union have made themselves particularly vulnerable thanks to their energetic adoption of open economic policies. First, they are hugely dependent on exports—close to 100% of GDP in some cases. Foreign trade is a fine thing. It brings in investment from outside and creates a wonderfully competitive environment at home. But when the export markets crash, the effect is immediate. Secondly, the kind of foreign trade was particularly risky: these countries integrated into the global-supply chain in industries such as electronics and cars, which are proving far more cyclical than anyone suspected. That may prove a near catastrophe for a country such as Slovakia, which is one of the world’s top producers (on a per capita basis) of cars and car parts. Even worse, it is the auto industry where politics is playing a role in the new era of bailouts. In theory, cash-strapped vehicle producers should be favouring low-cost locations as they try to cut costs. That would mean more investment in Slovakia and Hungary, but cut-backs in high-cost France and Germany. 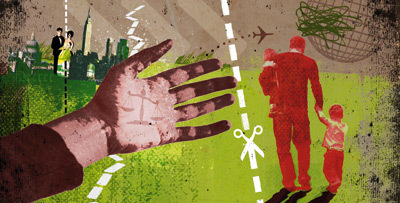 But the rich-Europe bailout packages include clear conditions: save the jobs at home. Selling the banking system to outsiders is proving to be another vulnerable area. In the 1990s, that looked like pure common sense. Local banks were wobbly and sometimes outright dodgy. Foreign banks promised modernisation and a big capital base: just what an emerging economy needed. For a time that proved a huge success. Foreign banks drove down borrowing costs for firms and households who wanted to borrow, provided attractive investment vehicles for those who wanted to save, and made juicy profits in the process. Now that looks very different. It is the western banks that look wobbly. Their loans are going sour (especially those made in foreign currency on wildly optimistic assumptions). A harsh political suspicion is in the air: are (say) Polish companies losing vital lines of credit because (say) Austrian managers are pulling the liquidity home? It’s too late to put the clock back, but demography makes new thinking urgently needed. The great worry for the ex-captive nations was always that they would get old before they got rich. A long slump risks catastrophe. The best hope now is to stoke competitiveness by improving infrastructure and education, and continuing with structural reforms of pensions, the labour market and so on. But these are painful. And from the public’s point of view, the reformers have some explaining to do. "New Europe and the economic crisis” by Katinka Barysch is published by the Centre for European Reform. Globalisation has made binational marriages, once exotic, much more common among high-earning, highly mobile families. When they stop being high-earning, life gets tricky. Louise Spitz of Manches, a London law firm, has observed an “exceptional” period since September. “With the redundancies in the City there has been a concomitant wave of marital upheaval,” she says. “Families used to living on huge bonus income are unable to continue with the commitments they have taken on—housing and school fees and the cost of living the high life.” Manches has taken on eight more divorce lawyers to cope with the extra work. A high proportion, Ms Spitz and other lawyers reckon, of the once-rich couples now breaking up include at least one foreign spouse. A London divorce settlement might give her many millions: a house, school fees and maintenance until the children are adults, or even indefinitely. An English court may well disregard a prenuptial agreement, particularly if one of the parties did not have independent legal advice. And it will tend to care more about immediate needs than about whether assets were acquired during the course of the marriage, or predate it, or are the result of an inheritance. All assets are likely to be divided. If the wife is lucky, she may even be able to collect her share. In the wife’s native France, things will look very different. In her favour is that conduct counts—so adulterous spouses will be penalised. In most other Western countries, divorce courts have given up attributing blame. Even domestic violence is often ignored, though it still counts heavily in some jurisdictions, such as Florida. But in the typical French divorce, any alimony (also called maintenance) will be less and for eight years at most; any prenuptial agreement will be binding. Only assets acquired during the marriage are up for grabs. If, in our example, the American husband moves to France, he will be expected to play an equal part in bringing up the children—a requirement that would delight some fathers, but by no means all. If the errant husband has the divorce filed in Texas, the tables are turned even more dramatically. The wife risks being left penniless. In Texas state law, alimony is usually minimal and temporary—though child support, thankfully, is a federal matter. In America, the law varies hugely between states. Most exclude from the settlement assets acquired before the marriage (but Michigan and Colorado don’t). Most exclude inherited property (but Massachusetts and Oregon don’t). In most states, judges will enforce prenuptial agreements (but they often won’t in Alaska). If the Texan husband decides to file in New York, however, he may find the outcome startlingly expensive. As in some English court rulings, New York courts may award one party a share of a spouse’s future earnings—assuming that they are based on a qualification, such as an MBA or medical degree, that was earned thanks to a joint effort in happier times. Yet New York law has one big catch: unless the parties have signed a formal separation agreement it requires proof of cruelty, adultery or abandonment, whereas other states allow “irreconcilable differences” as grounds for a divorce. So binational couples in New York who want to end their marriage may find themselves unable to do it there, and squabbling about alternatives. Rules differ, too, on what constitutes residency in a particular jurisdiction. In hedonistic Las Vegas, six weeks is enough. Cash and kids may pull in different directions. Countries that are “man-friendly” (shorthand for favouring the richer, usually male, partner) when it comes to money may be “mum-friendly” when it comes to custody. Japan, for example, is quick and cheap for a rich man—unless he wants to keep seeing his children. English courts are ferocious in dividing up assets, even when they have been cunningly squirrelled away offshore. But compared with other jurisdictions, they are keen to keep both divorced parents in touch with the children. The children’s fate, even more than family finances, can be the source of the hottest legal tussles. 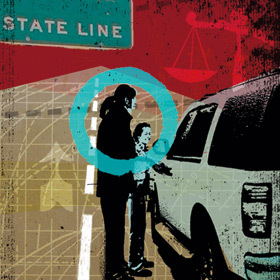 The American State Department unit dealing with child abduction has seen its caseload swell from an average in recent years of 1,100 open cases to 1,500 now. In Britain, the figures rose from 157 in 2006 to 183 in 2007, according to Nigel Lowe of Cardiff Law School. Of the cases reported worldwide, mothers are the main abductors when a marriage breaks down. They are cited in 68% of cases. Ann Thomas, a partner with the International Family Law Group, a London law firm, says child abduction has increased “dramatically” in the past three years or so. A big reason is freedom of movement within the European Union, which has enabled millions of people from the new member states to live and work legally in the richer part of the continent. That inevitably leads to a boom in binational relationships, and in turn more children of mixed marriages. Ms Thomas notes that when a relationship between a foreign mother and an English father breaks down, the mother often assumes that she can automatically return to her homeland without the father’s permission. That may be a costly legal mistake. Most advanced industrialised countries, plus most of Latin America and a sprinkling of others, are signatories to the 1980 Hague Convention, a treaty which requires countries to send abducted children back to the jurisdiction where they have been living previously. That is fine in theory: it means that legal battles have to be fought first, before a child is moved. It is a great deal better than a fait accompli which leaves one parent in possession, while the other is trying to fight a lengthy and expensive legal battle in a faraway country. But in practice things are very different. Views on the desirability of children being brought up by “foreigners” vary hugely by country; so do traditions about the relative roles of fathers and mothers in bringing up their children after divorce. In most Muslim countries, for example, the assumption is that children over seven will be brought up by the father, not the mother, though that is trumped by a preference for a local Muslim parent. So the chances of a foreign mother recovering abducted children from a Muslim father are slim. Apart from secular Turkey and Bosnia, no Muslim countries have signed the Hague Convention, though a handful have struck bilateral deals, such as Pakistan with Britain, and Egypt and Lebanon with America. Japan has not signed it either—the only member of the rich-country G7 not to have done so. Canada and America are leading an international effort to change that. Foreign fathers, in particular, find the Japanese court system highly resistant to attempts even to establish regular contact with abducted and unlawfully retained children, let alone to dealing with requests for their return. Such requests are met with incomprehension by Japanese courts, complains an American official dealing with the issue. “They ask, ‘Why would a father care that much?’” Countries edging towards signing the Hague Convention include India, Russia and mainland China. But parents whose ex-spouses have taken children to Japan should not hold their breath: as Ms Thomas notes, even if Japan eventually adopts the Hague Convention, it will not apply it retrospectively. Moreover, even signatory countries may be bad at abiding by the convention, especially when it means enforcing the return of children to a parent alleged to have been abusive. The annual State Department report to Congress on observance of the Hague Convention lists Honduras as “non-compliant” and nine other countries (Brazil, Bulgaria, Chile, Ecuador, Germany, Greece, Mexico, Poland and Venezuela) as showing “patterns of non-compliance”. Anyone in a wobbly marriage with a citizen of these countries might bear that in mind before agreeing to let the children go on holiday there. But America is not blameless either, particularly if parents try to recover their children through state rather than federal courts, where judges may be unaware of the Hague Convention’s requirements. “Except in Florida, New York, California and Texas, a judge may only hear one Hague case in his career,” says a State Department official. Judges who get it wrong can be overruled on appeal, but it takes time and money: the Hague Convention aims to make proceedings quick and cheap, thus making abduction less likely. Whereas Britain offers automatic legal aid to the foreign parent trying to recover the children, in America they must rely on their own resources or a pro bono lawyer. So it is understandable that a disillusioned spouse, and his or her lawyer, will try hard to get the most favourable jurisdiction. Yet that can all too easily lead to each party starting, or even finishing, a divorce in a different country. Sorting out these cross-border legal wrangles can be colossally expensive. A tussle between jurisdictions usually starts in six figures, in dollars, euros or pounds; when all four legal bills, of both sides’ costs in both countries, are totted up, it easily shoots into seven figures. And it is hugely time-consuming. The children involved may reach adulthood before the final verdicts are given. International attempts to tidy up the law have made some things better, but not all. The European Union (where 875,000 divorces take place each year, a fifth of them binational) introduced a reform in 2001 called Brussels II. This has largely stopped “forum shopping”, with a rule that the first court to be approached decides the divorce. Brussels II also encourages some less scrupulous lawyers to behave badly, urging their clients to act fast and dirtily. A London divorce lawyer recalls a case where a husband from an overseas country had acquired his wife’s European nationality by marriage, living briefly in her continental home country before moving to London. Five years and two children later, the marriage was on the rocks, with the husband away working in East Asia. Without his wife’s knowledge, he filed for divorce in her country, one of the stingiest jurisdictions in Europe (from her point of view). His only connection with it was his marriage to the wife he was trying to dump cheaply. Had the case been heard in London, where both parties had much stronger links and had owned a home for years, she would have done far better. To avoid such cases, a further EU measure, Rome III, tried to stipulate that a marriage should be ended only by the law that has governed it originally. That works fine in similar countries where divorce rules are highly codified, precedents do not matter and judges’ discretion is limited. It already applies in some northern European countries, so that Dutch courts, for example, will apply French law when dealing with a French couple whose marriage has ended during a posting in The Hague. Now that Rome III has been stymied, a group of nine countries, led by Spain and France, is going ahead under a provision in EU law known as “enhanced co-operation”. This allows like-minded countries to work together, leaving the unwilling behind. And still more international tidying-up operations are in the works. 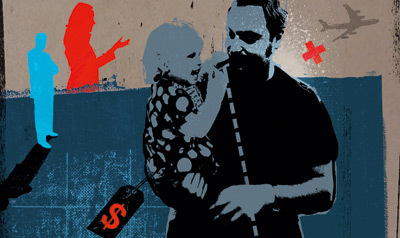 Another Hague Convention tries to harmonise arrangements on cross-border child-support payments—an area that tends to be a bit less contentious than divorce, where views of what is fair differ wildly. Perhaps the biggest weakness of the system is the advantage that it gives to the richer partner when an international marriage breaks up. Experienced lawyers can operate, if necessary, with high speed to help the poorer spouse—for example, by putting the first hefty legal bill on the husband’s credit card before he is aware of what his wife is up to. In England, that may be followed by a swift move to initiate divorce proceedings, and then an emergency maintenance application that includes provision for legal costs. When the richer party has assets in that jurisdiction, a fair fight is possible. But Kerstin Beyer, a German-British divorce lawyer at the International Family Law Chambers in London, says the tables are often stacked against the poorer (and usually less knowledgable) spouse. Some husbands file for divorce abroad and simply fail to turn up at the English court, hoping that the cost and delay of enforcing the judgment abroad will lead their ex-wife to give up. A client of hers trying to gain the assets she had been awarded in Colorado was faced with a demand for a $15,000 upfront payment from a lawyer there: an impossible expense for someone of her means. Another has been pursuing, expensively and so far fruitlessly, assets in Luxembourg and Germany awarded by a London court. Pensions are particularly tricky. Some countries split them between divorcing couples as a matter of course; others regard such requests from foreign courts coldly. More fundamentally, divorce arrangements in countries with English-style common law are still liable to be influenced by highly atypical fights between the super-rich, who can afford to take cases to the highest courts. In most marriages there is barely enough money to support one family in one country, notes Ms Spitz. Spreading that between two sides is a stretch, even without an expensive legal fight. As house prices plunge and savings shrivel, divorcing couples are fighting over a shrinking cake.